People don’t tend to make full use of their dining rooms, so when they do, there’s nothing like providing the feeling of a special occasion. 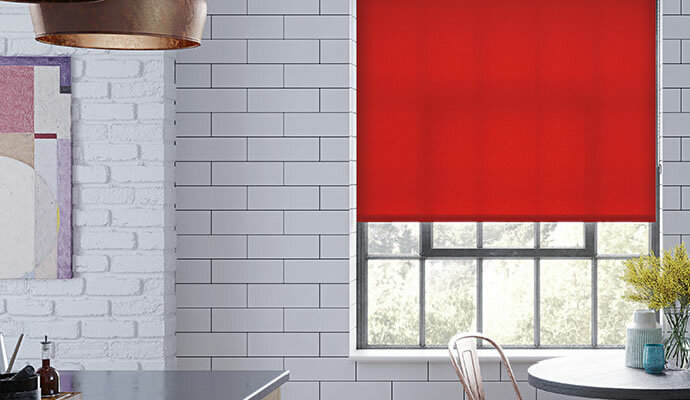 Your choice of dining room blinds can have a major part to play in this, especially as there’s a good chance you’ll be using the room at night. Maybe you’d like to go for a more luxurious style of fabric like a faux suede or silk, or for the clean feel of a wooden Venetian blind. It may be that you want more privacy with your dining room blinds while offering a look of sophistication, which café-style plantation shutters are perfect for. The ideal kind of blind for a room that may otherwise only be sparingly used for special occasions. 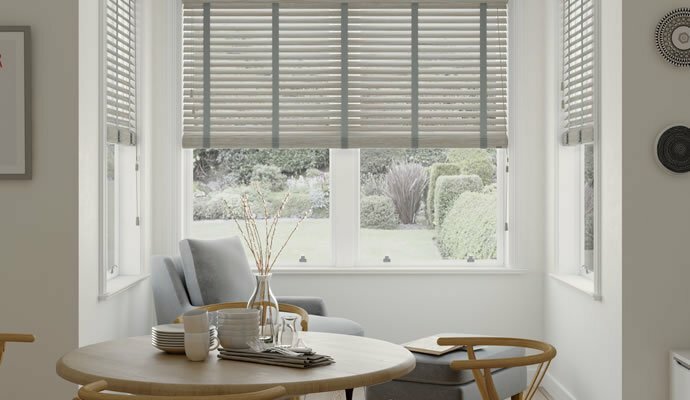 Roman blinds add more than a touch of opulence to your dining room and can be extremely practical in letting in (or blocking out) the light too. Whatever the colour and style, the intricacy and warmth of wooden blinds always adds to the ambience of any room, helping to create a more intimate feel: perfect for entertaining guests in your home. 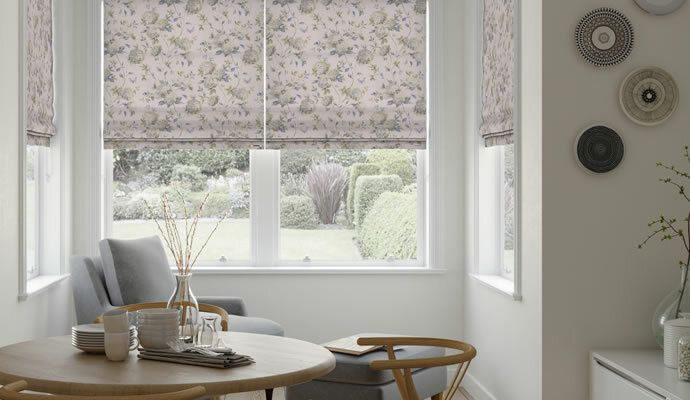 Providing a simple and practical solution to enhance the ambiance of your dining room, roller blinds are available in a range of colours, materials and designs. Choose from block colours to match the décor or go with a pattern for a more dramatic kind of effect. 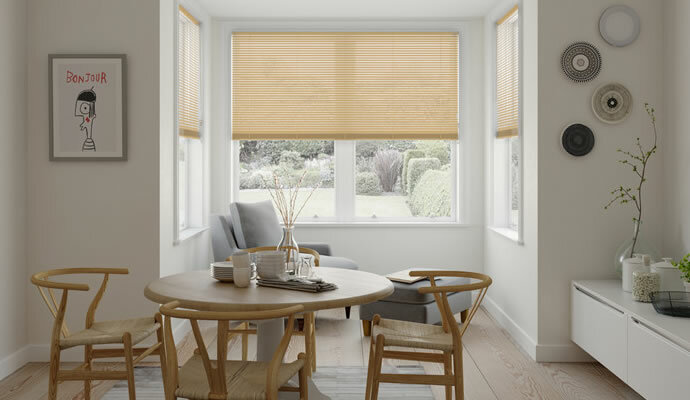 Venetian blinds not only look smart and contemporary in most kinds of window, they’re also superbly practical for use on sunny days and in the evening. Choose the colour and style that most closely matches your dining room for an elegant, sophisticated approach to your décor.